Meet the small team who can do big things! Dan’s main role is sales and overseeing all work on a day-to-day basis. 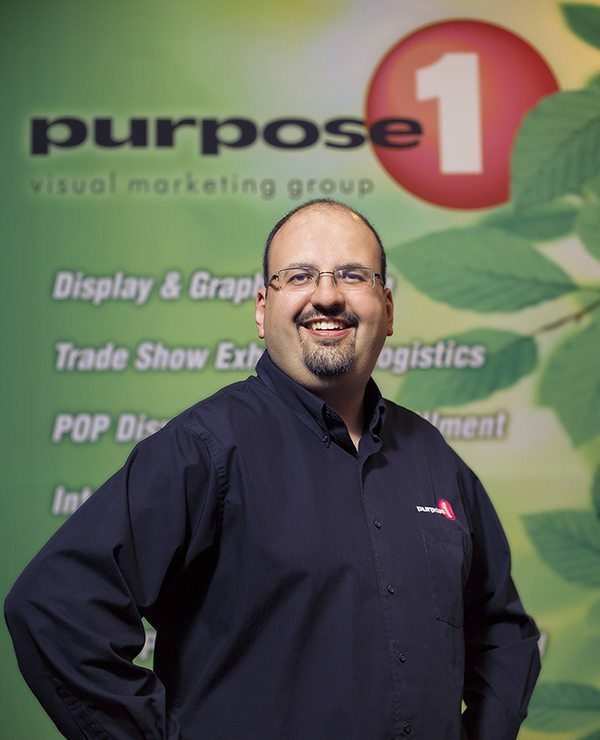 For over 18 years, Dan has honed his talent of developing ideas or concepts to fit the need of the project or client. 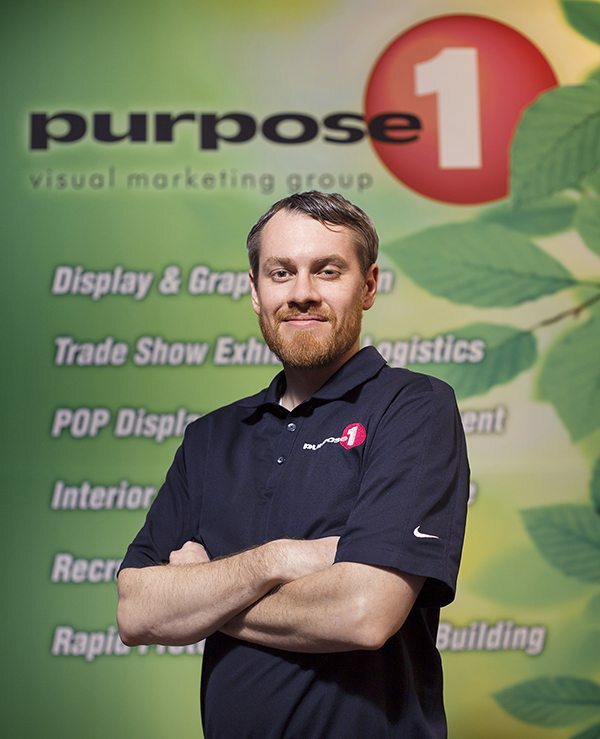 When Dan is not promoting Purpose1’s value, or training his sons Nicholas & Cooper for potential future roles at Purpose1, he is helping to enrich the art community with his involvement in the Mt. Gretna School of Art. 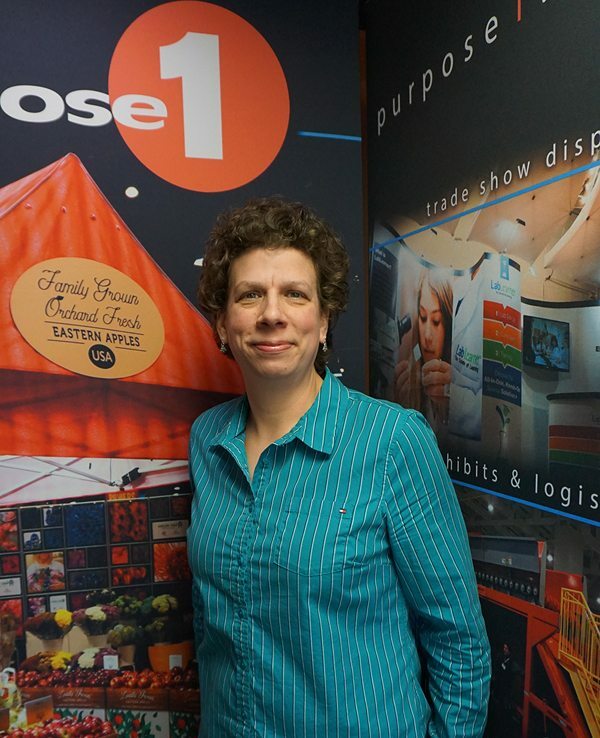 Julia’s main responsibility is logistics & customer service, providing clients with displays to visually communicate their message and arrive on time to their show. From concept to completion, Julia brings smiles & great service to all customers who have the pleasure of working with her. When Julia is not exceeding customer’s expectations, she is enjoying motherhood while chasing down her toddler, Ravi. Todd provides designs and rendering for many custom, “out of the box” exhibits, lobby environments and signage solutions. Todd’s past experience engineering bikes has given him the expertise to fabricate the exact product to fit the client’s space or needs. When he’s not busy installing a mammoth mural or designing a cutting-edge display, he’s enjoying the wind in his face on the bike trail. Jen can build, repair, or re-purpose just about anything. No job is too big or too small for her. 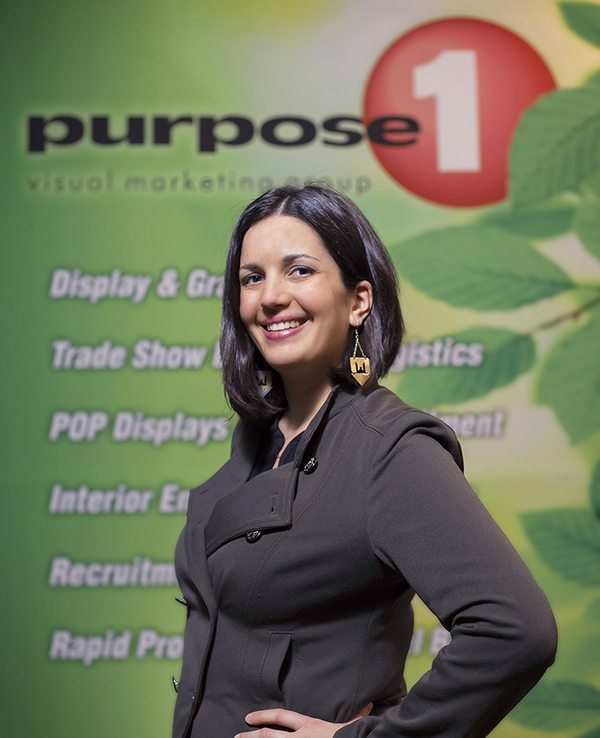 She’s the fabulous fabricator of Purpose1 who manages all production and client set-ups. When Jen is not in the warehouse, she is working on her cabin in the woods or her antique cars.